Veronica Mars might have spent the past ten years trying to escape her hometown of Neptune, California, but the irresistible pull of its seedy locals, its salacious scandals, and its deep, dark mysteries has drawn her back in. Veronica Mars began as a short-lived but beloved TV series, where the a plucky teenaged detective helped her single dad in the private eye biz, attempting to solve her best friend’s murder while working through her own deliciously melodramatic problems. Cancelled after three seasons, Veronica found new life as a feature film in 2014, which was funded by eager fans in the most lucrative Kickstarter campaign ever. But if you’re reading this, you probably already know all that. 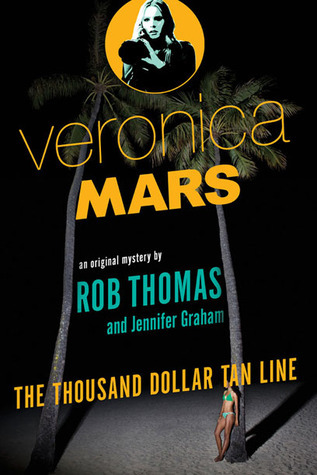 Picking up shortly after the events of Veronica Mars the movie, The Thousand Dollar Tan Line kicks off a new book series and a new set of mysteries for Veronica to solve. Best of all, the first audiobook is narrated by Veronica herself, actress Kristen Bell. It’s spring break in Neptune, which means booze, bikinis, and 24-hour parties. When the disappearance of college freshman Hayley DeWalt is quickly followed by the disappearance of 16-year-old Aurora Scott, the corrupt and inept Sheriff Dan Lamb dismisses the case as out-of-town party girls who will eventually turn up. The Chamber of Commerce steps in to hire Mars Investigations, and the mystery takes Veronica on a twisty path and a confrontation from her past. It’s the mid 90s, and Franny Banks is in New York City, trying to make it as an actor. She’s had a few successes–getting into a coveted acting class, working on a commercial, doing some theatre. But is it enough success to justify staying? Franny has given herself a three-year deadline. It’s the mid 90s, and Franny Banks is in New York City, trying to make it as an actor. She’s had a few successes–getting into a coveted acting class, working on a commercial, doing some theatre. But is it enough success to justify staying? Franny has given herself a three-year deadline. If she can make it, really make it, as an actress in New York City by the end of those three years, she’ll keep at it. If she fails, she’ll go home and become a teacher like her dad. As the novel opens, Franny realizes she is six months away from her deadline and nowhere near fulfilling her dreams. Debut author Lauren Graham is herself an actress who got her start in New York City. Beloved for her roles as Lorelai on Gilmore Girls and Sarah on Parenthood, it turns out Graham is no slouch at writing stories, too. 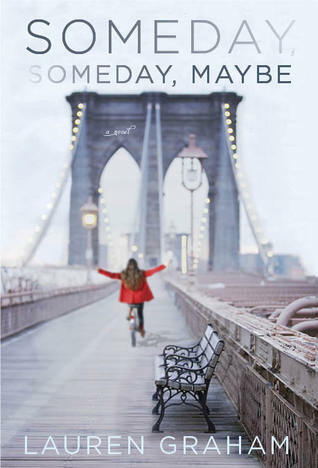 Someday, Someday, Maybe is a light, charming novel, wonderfully witty and full of heart. Its setting allows for great moments of 90s nostalgia, from Franny’s dad asking her if she’s thought about “applying” to be on that Friends show everyone’s talking about to Franny’s religious use of her Filofax calendar. We get to see Franny’s actual calendar throughout the book, pages of her Filofax filled out in her handwriting and doodles (drawing of grass, note that said drawing is more interesting than her career at the moment; notes on meetings with agents, going for runs, grocery lists, doodled freakouts about possible dates). It’s a sweet way to put us directly in touch with Franny’s most private thoughts, and it’s also a cute nod to Bridget Jones’ Diary, an obvious influence. Sometimes, it’s not easy being the Queen of England. 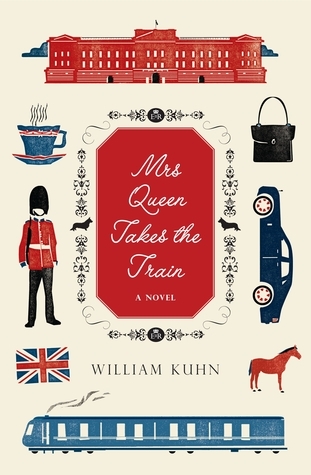 In William Kuhn’s Mrs Queen Takes the Train, set in the days before the latest jubilee and the 2012 Olympics, Her Majesty Elizabeth II finds herself growing a bit sad, fearing that she has grown obsolete. Sometimes, it’s not easy being the Queen of England. In William Kuhn’s Mrs Queen Takes the Train, set “several years ago,” Her Majesty Elizabeth II finds herself growing a bit sad. She fears that she has grown obsolete; she can’t quite get the knack of the computer and the Prime Minister is threatening to shut down the Royal Train because it’s an expensive relic. She wonders if she, too, is an expensive relic. Although she does find yoga quite relaxing, she is still vexed by how much her life is influenced by public opinion, which turned so bitter toward her after Diana’s death, and by the Government’s penny-pinching. 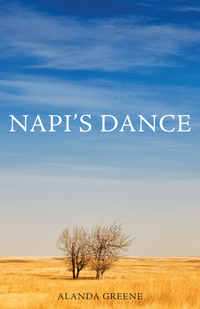 Snake Woman and Eleanor Donaldson live in two very different versions of the Canadian prairie in Alanda Greene’s debut novel Napi’s Dance. Snake Woman grows up at a time of upheaval. The palefaced people are making inroads into indigenous land, bringing with them weapons, alcohol, and values foreign to the Blackfoot people. Decades later, Eleanor falls in love with the wide open spaces and huge sky when her family moves from Aurora, Ontario, to a homestead in Medicine Hat, Alberta. Snake Woman and Eleanor Donaldson live in two very different versions of the Canadian prairie in Alanda Greene’s debut novel Napi’s Dance. Snake Woman, who begins the story as Snake Child, grows up in a time of upheaval. The palefaced people are making inroads into indigenous land, bringing with them weapons, alcohol, and values foreign to the Blackfoot people. As political strife and outside danger rips at the fabric of her world, Snake Child and her foster mother Mountain Horse are tasked by the mysterious Women’s Society with the honour and responsibility of hosting a Bundle Spirit in their lodge. Several decades later, Eleanor falls in love with the wide open spaces and huge sky when her family moves from Aurora, Ontario, to a homestead in Medicine Hat, Alberta. As the Donaldsons adjust to farming life in a sod house, they are visited by representatives of the Royal Ontario Museum who wish to bring Aboriginal artifacts back to Ontario, to preserve this dying way of life. The writing is lush and elegant. Basran really is “one to watch,” as she was proclaimed by the Vancouver Sun. 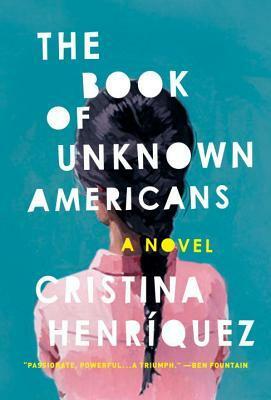 Her characterization is superb, and her descriptions of smells are particularly evocative. 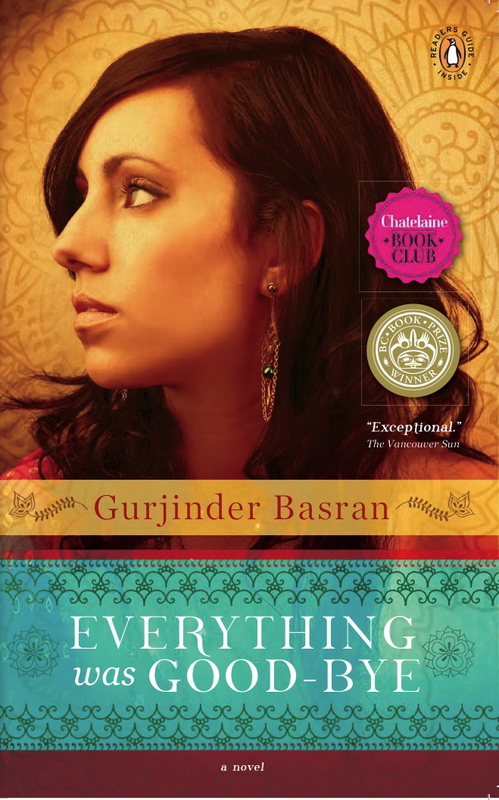 I first heard about Everything Was Good-bye through an invitation to join Penguin Canada and the Chatelaine Book Club for an evening with author Gurjinder Basran. Having a chance to hang out in the Penguin offices, sipping wine, chatting with other bloggers, and listening to Gurjinder read from the book and then answer questions was a not-to-be-missed experience, and I suggest you read the great recaps on Nicole About Town’s and Just a Lil Lost’s blogs. 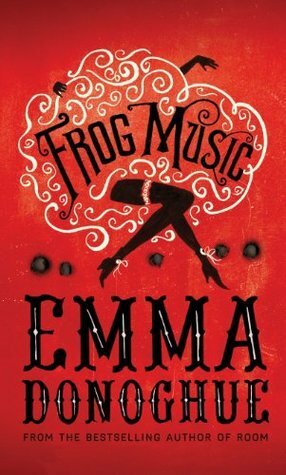 I’ve since read Everything was Good-bye, and my reading was informed by Basran’s discussion of how she came to write the book and her own life experiences—almost like reading the book club guide and then reading the novel. Set in the 1990s, Everything Was Good-bye is the story of Meena, a first-generation Punjabi-Canadian struggling to find her place within her family, her cultural community, and Canadian society in general. While it grew out of a journalling project and was inspired by Basran’s life in many ways, the book is a work of fiction (one that was an Amazon Breakthrough Novel Award finalist and that won Mother Tongue Publishing’s Search for the Great BC Novel Contest). As a teenager and the youngest of six daughters, Meena’s life is overshadowed by the choices her older sisters have made. She’s something of an outcast, more interested in wearing jeans than salwar suits, in lining up to get a Simple Minds record autographed than going to yet another friend of a friend’s wedding party. And yet she’s also an outsider at school because she looks “different” and adheres to a different set of family and social customs. It angers her family that she spends time with Liam, a white boy and outsider in his own right, an artistic kid from a difficult home who feels just as lost as Meena does.